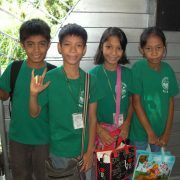 The Immanuel Deaf Centre at Davao on Mindanao Island provides excellent kindergarten to college education. There are nearly 100 students attending this school that has been educating the deaf community for over 20 years. Most students come from remote areas and live at the school during the term; travelling home for holidays. 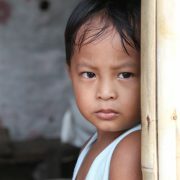 Many students start school late due to distance and some students are orphans, the school is their only home. 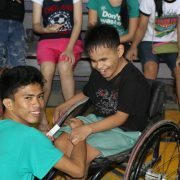 Our dedicated leaders at Davao give these children special love and care. 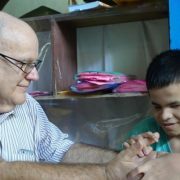 Older students are very grateful to have the opportunity to complete High School and College at a school specifically for the deaf. Most families cannot afford to pay for their deaf children to go to school and they need financial support through sponsorship. A High School group for blind students has commenced and music is now enhancing the school community. This school is very highly regarded by the local government and community. It plays an active part in community deafness awareness programs and presents dramas at local festivals. University students visit to learn about education of the deaf. 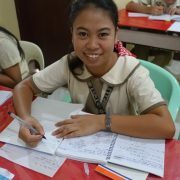 Many students have trained at this college and now work as teachers or leaders in deaf communities in the Philippines. 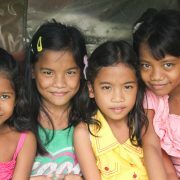 Several deaf communities have been established on Mindanao Island where deaf people help each other in times of need.